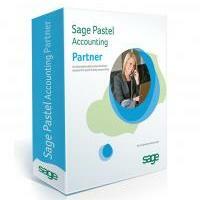 This comprehensive training course covers the Pastel Partner add-on modules. This course has been designed for learners with an established Pastel Partner background who want to specialist in the Pastel Partner add-on modules. This module allows you to create separate stores with different inventory items linked to them. The system tracks inventory quantities per store. You can even have different selling prices for inventory items for different stores. These modules work together and allow you to manufacture and assemble items with ease and perfection. You can also manufacture items as you process an invoice and can create as many sub levels or components as you require. This module allows you to create different foreign currencies as well as process in different currencies. It also allows you to split importation costs whilst processing inventory, supplier or customer invoices. The Pastel Partner Time and Billing module allows you to bill your employees’ time to your customers. Simply fill out timesheets for your employees and charge your customers via activities. The activities that you create are the services you sell to your customers. This module allows you to import your internet bank statements into Pastel’s cash book system. It streamlines the process by allowing you to set up frequent transactions once, which will then be recognised in future bank statements. You are also able to set up your transactions so that Pastel Partner Bank Manager will allocate an account (General Ledger, customer or supplier) and a description to regular transactions. This module allows you to collect outstanding money from customers and keeps a tracking record of all entries. The Cash Manager module will also post reminders when to contact customers and supply detailed reports of outstanding payments and received payments. How to set up the asset defaults. How to create master assets as well as sub assets. Calculating book and tax depreciation. Gives you a comprehensive overview of Capex Budgets and Orders. You can link assets in a master and sub asset relationship, which is useful, for example when you make changes to computer workstations. The different reports available for assets.